We are one of the known names of the industry engaged in offering best-in-class White IR Dome Camera for Offices in the market. Ideal for outdoor surveillance purposes, these cameras are characterized by a sturdy, vandal proof body that can sustain all environmental conditions. The OSD menu can be controlled using the cable button. 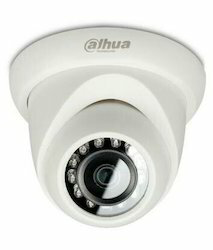 Looking for White IR Dome Camera for Offices ?